Meet Senhorita Joss Almeida. 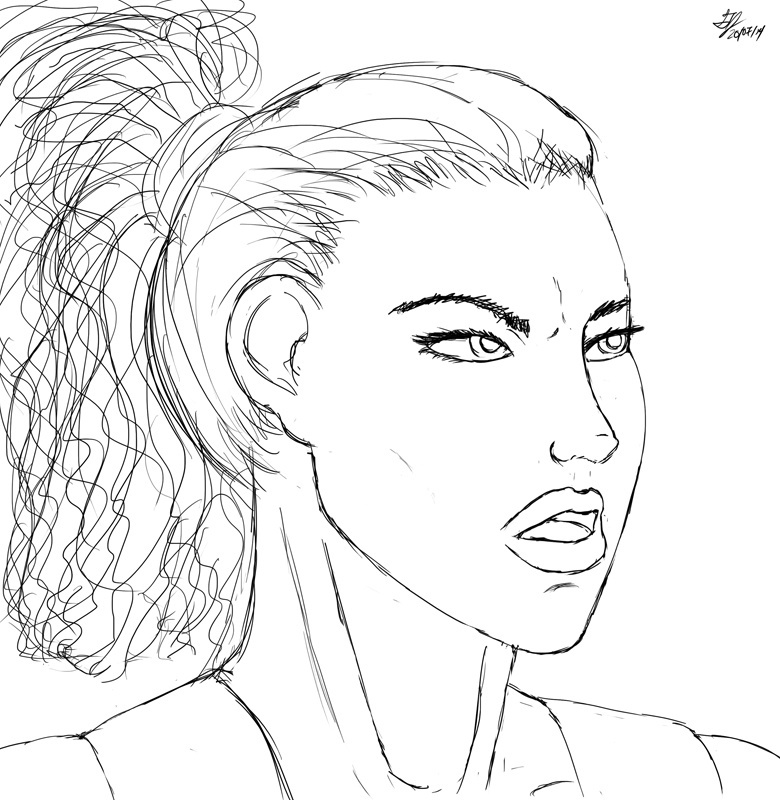 She's a relatively new character that plays a significant role in the planned third book of The Ruferus Saga. She's the first Ruferan human I've created (humans are known as Secundians on Ruferus), but humans make up less than 1% of the Ruferan population, so for all intents and purposes, they're an endangered species. Born into dire circumstances, she's survived a lot of hardships and has only grown more resolute with age. I gotta admit, this one pissed me off. Human faces, lips in particular, are really hard for me to get right. At least I got to experiment with her hair. I wanted her to have a dread ponytail, but I had no idea how to sketch dreadlocks. Her design may change in the future, but say "Ola" to her anyway.